Algiers is a curious juxtaposition of French bourgeois classicism, functional modernism and Turkish gardens architecture spread along the shimmering Mediterranean coastline. Sprawled across 1,190 km² and home to over 3 million people, Algiers is the largest city in Algeria. 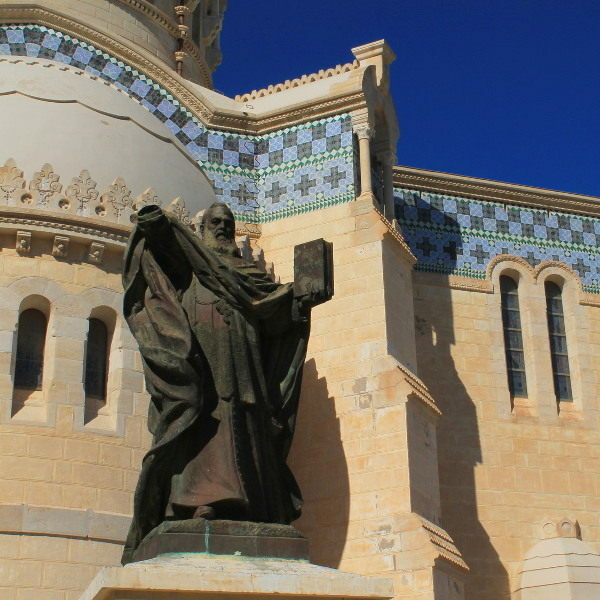 Attractions include Notre Dame d’Afrique, Martyrs’ Memorial, Jardin d’Essai du Hamma and Ketchaoua Mosque. 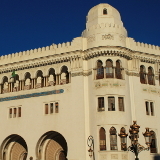 Explore the rich history and architectural wonders of this North African city with cheap flights to Algiers. Algiers is home to Houari Boumediene Airport (ALG) and serves a multitude of airlines, including British Airways, Emirates and Qatar Airways. ALG is a 20 minute drive from the city centre. French, Spanish, Berber and Roman influences fuse together seamlessly to create a sublime canvas of architectural artistry that tells tales of love and woe under balmy African skies. The sweet purr of maqrunahs take you on a cultural journey through the winding streets of Algiers, beckoning you to the decadent aromas of spice, pine and coffee. Algiers is the French Riviera of Africa. Labyrinthine streets weave between tangles of green, opening up onto French boulevards and velveteen beaches surrounded by the glistening Mediterranean Sea. 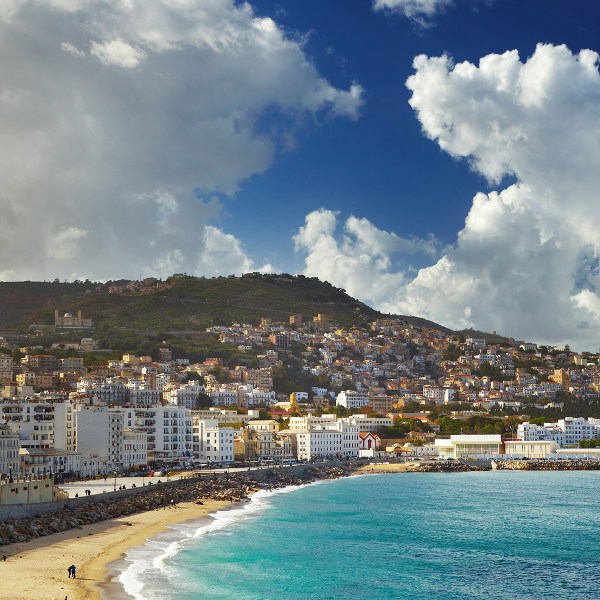 Algiers is situated along the coast of Algeria, which means it is blessed with a warm Mediterranean climate. Weather is generally pleasant all year round. The summer months are warm and dry with temperatures sneaking into the low 30 degrees Celsius region; while the winter months are mild with gentle bouts of rainfall. The warm season lasts from June to September, while the cold season settles over the city in November and wanes toward the end of March. Each season comes with its own pros and cons (i.e . travelling during winter means lower rates), but the summer months are best for exploring the city and getting to experience the landscapes in all its glory. In terms of events and festivals, the city hosts the European Cultural Festival in May, an event that encompasses music, art, photography, theatre, dance and film. Algiers is the French Riviera of Africa. It is a place where the idyllic waters of the Mediterranean Sea and warm sands of North Africa meet for a passionate tryst that has spanned decades. 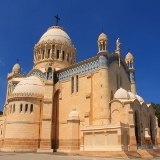 It is a place famed for its magnificent assemblage of architectural artworks, which still bear the fingerprints of the French, Spanish, Berber and Romans. But most remarkable is how the wide French boulevards blend beautifully, and seamlessly with the Turkish allure of the Kasbah of Algiers, and Arabian elegance of La Grande Poste d’Alger. Algiers is more than a North African city spattered with unique and wonderful buildings – it is an architectural masterpiece in its entirety. However, along with sublime historical monuments and gorgeous façades, it also offers a taste of the unique cultural heritage that flows through its veins. 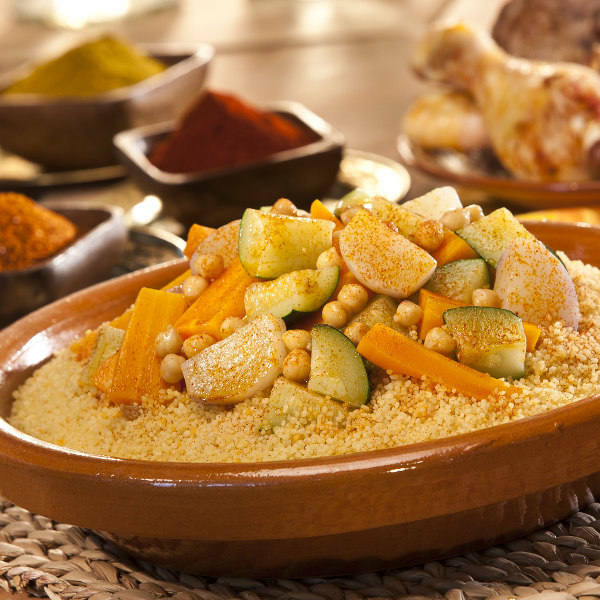 Experience the warm hospitality of its locals; tantalise your taste buds with the distinct taste of Berber, Mediterranean and Ottoman cuisine; and allow yourself to synchronize with the gentle rhythms of the local chaabi music. Escape to Algiers and feel the warm embrace of deep rooted traditions, beautiful landscapes and the pulsing soul of a city hidden away at the very top of Africa. 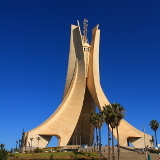 Compare several airlines, and book your cheap flights to Algiers online at Travelstart. Travellers planning a trip to Algiers should do some research regarding the social and political status of the city. With research and planning you can still embark on a holiday to this fascinating coastal city and enjoy everything it has to offer. Be aware of your surroundings and try to avoid crowded areas. You should maintain a high level of vigilance at all times and avoid all travel to secluded or rural parts of Algiers and Algeria in general. Stick to safe areas, well-known hotels, and avoid venturing out alone, and at night. Women should familiarise themselves with local customs. Avoid carrying around large sums of money and valuable items. Carry a photocopy of your passport and other important documents and leave the originals in a safe place. Proof of yellow fever vaccination is required if you are travelling from a yellow fever endemic area. Vaccinations for hepatitis A & B, typhoid and rabies are recommended. Although the risk of malaria is low in Algeria, taking certain precautions to prevent mosquito bites is recommended. Vaccinations for measles-mumps-rubella (MMR), diphtheria-tetanus-pertussis, varicella (chickenpox) and polio are also recommended. Accommodation in Algiers can be quite limited. Hotels and resorts along the coast are of a high standard and offer all the facilities you need for a comfortable and luxurious stay. These high end establishments also offer prime locations for witnessing some stellar sunsets across the bay of Algiers. For more affordable accommodation, a number of mid-range and budget hotels can be found around the city, but these are often few and far between, so booking early is highly recommended. When travelling around Algiers the best option is using marked taxis, preferably those registered with the hotel. These are plentiful and efficient at getting you around comfortably and safely. Car rental and using public transportation is not recommended.